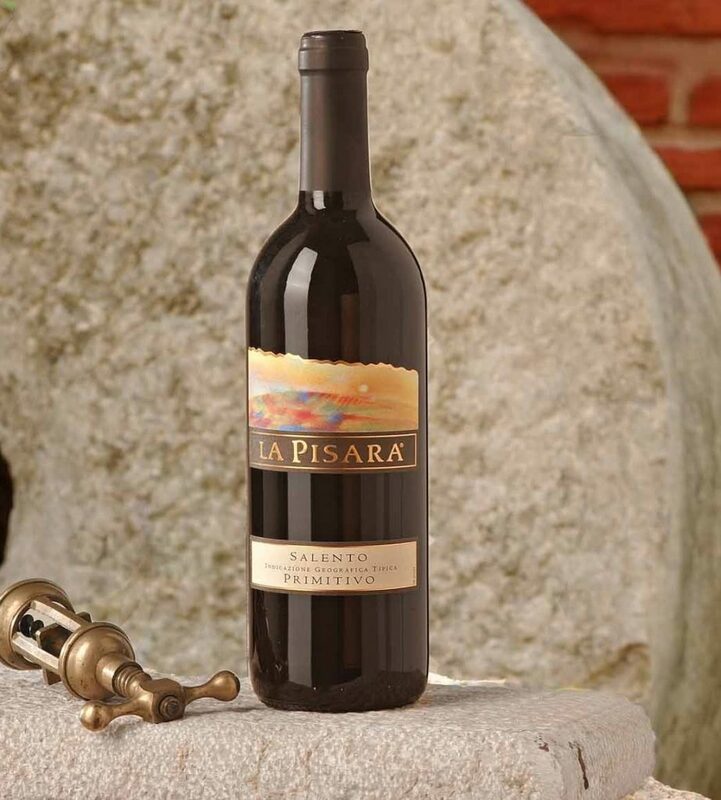 This wine is produced with 100% Primitivo grapes and has an intense red color. It has a warm bouquet with rich notes of ripe red prunes and currants, dried hazelnuts and figs, and hints of leather. The taste is full-bodied and powerful, yet pleasantly soft, warm and nicely balanced with savory notes. Exceptionally robust and firmly structured. Serve with hearty first courses, red meats with gravy, and grilled meats.